I went to the state owned alcohol monopoly store Wednesday this week. They had a Grappa tasting. I have had very little Grappa before. I have one not very exclusive bottle of it at home and that is about it. Wednesday evening gave me the opportunity to try another 5 varieties of it. One was unaged and the remaining four aged for various length of time. It was very interesting. In the end I preferred either the one that had been aged for around 10 years or the unaged one. The one that was extensively barrel aged was so very different from the others that it was like a whole different kind of drink. First it was a bit too sweet for me despite being the strongest one in alcohol. It quickly won me over but it is a bit outside my budget. At current dollar rate it costs around 160 dollars per bottle here. The other four was much closer in taste profile with not enough separating them that I would probably go for the 50 dollar unaged Grappa instead of spending 80-90 dollars on something not all that different. The Grappa was handpicked by the persons hosting the event though and going for the bottom shelf while buying Grappa might be a bad mistake. I had a great evening and have found a new appreciation for Grappa. It is not my new favourite drink but I can see myself getting a few more bottles of it. A friend of mine read an old book that mentioned a drink called Rumfustin in 'less flattering' terms. Very much so... He got curious about it and suggested we try to make it. It is a drink from Eastern USA from the late 17th century as I understand it. So after a nice dinner at a restaurant we were three couples that gathered at my home to try to make and taste this drink. We found two similar recipes with the main difference being if 6 or 12 eggs should be used. We went with 9. Yield: Makes about 8 drinks. If there is a problem with eggs in your region, do not prepare this recipe. Beat the egg yolks until lemony and frothy. Beat in the beer; beat in the gin. Put the sherry in a saucepan with the cinnamon, nutmeg, and lemon peel and heat just to the boiling point. Remove the cinnamon. Beat the hot wine into the egg mixture, and serve at once, while it is still warm, in heated 8-ounce mugs. The making of it went relatively painlessly and it was divided into six glasses. Then we came to the tasting... Out of six persons I was the only one that finished mine. It took all the stubborness I possess to achieve that. The gin and sherry makes the aftertaste absolutely vile. If it was made with rum or brandy and port wine instead it would probably be a lot more pleasant to drink but I guess it would not be a Rumfustian anymore either. One theory that one of my friends came up with was that at the time their ingredients were in such a lousy condition that this was one way of making use of it. Maybe the beer was stale and bad etc etc... For me, I would say that each component we used was better than the end result. To make it more authentic we should have used Genever I presume but I was out of it so we used Beefeater Gin instead. Together with a friend I had a small rum tasting session, we tried four different rums. It was the Quorhum 23 Solera, Opthimus 15, 1931 and Rum Nation Peruano 8yo. Oliver & Oliver from the Dominican Republic, are producing Opthimus, Cubaney, Guantanamera, Cubanacán, Samaná, Unhiq, Quorhum, Punta Cana Club and also third party brands as Vizcaya, Oliver & Oliver Atlantic. St. Lucia Distillers makes the Chairmans Reserve, Admiral Rodney and 1931. Rum Nation sells limited editions of rum from single casks bought from various distillers. My expectations were pretty high for all except the Rum Nation. All the bottles except the Rum Nation comes in very stylish bottles so the Peruano didn't leave much of a visual impression. We started out with the Quorhum 23 Solera from Oliver & Oliver that is sold here in half litre bottles that after the recent price cut is sold at a very decent price. The bottle is a very nice decanter shaped almost like a cube. The colour is almost black, seen from a distance. The label says "SPECIAL BLACK RHUM" which I guess means extra caramel colouring added. Also funny that they spell it in the french way on the label when it's from a spanish talking island. It's very sweet but retains a slight alcoholic bite that in a way saves it from being too liqueur like, it's bottled at 42%. I like it and think it's a good rum if compared to the other Soleras out there. If there is something negative to be said about it it might be a bit too sweet and lack a bit of character. Definitely above average but not a truly great rum. Both me and my friend rated this at 4/5 on a scale where 5 is best. Then we started on the 1931. With the 1824, 1888 and 1919 already in the market I guess we need another rum named after a year that has nothing at all to do with the age of the rum in the bottle. What the hell we still have a few years not taken so bring them on... Apart from the stupid name this is a really nice rum that impressed me a lot. It comes in a cheapish cardboard box that actually carries information of value on the outside for a change. Describing the composition and ageing of the rum in a clear way without too much marketing crap to ruin the experience. "1931 is a blend of nine casks containing distillates from three pot stills and a coffey still. The casks selected were judged to contain our finest rums and ranged from casks laid down in 2004 to older distillates laid down in 1999. Of the nine casks used for ageing were seven were American white oak barrels while two were port casks. The blend was assembled and then placed back into American white oak casks for a period of three months for a final marriage before being bottled. We have preserved the integrity of 1931 by using light filtration techniques which does not include chill filtration techniques. As a result the rum may throw a harmless sediment that is perfectly natural." I was shocked about the amount of useful information in these sentences, I really wish more rums followed this example. It's so nice to know what it is you are buying. I guess the common lack of information is information in itself... They plan on making one batch of 6000 bottles per year. The bottle we tried was from batch 1 bottle 3568 bottled May 17th 2011. The bottle is similar to the Plantation 20th Anniversary with a nice wooden cork. This was a rum that had everything the others had lacked, nice and smooth but a lot of character. It smells a bit oaky and some over ripe fruits or raisins no alcohol. The taste reminded me a bit of rum raisin ice cream, it's very well balanced between sweetness and strength. Long aftertaste. This one we both agreed on withouth further discussion was worth a 5/5. Finally we opened the Rum Nation Peruano 8yo. After tasting one of the best rums I have ever tried both me and my friend got ready for the disappointment of the Peruano in it's common anonymous bottle. Maybe we should have started with this one so we could have finished with the 1931 on a high note? The smell was promising, some oak and raisins or over ripe fruit. The taste blew me away. We just looked at each other in amazement. This one was well fit to give the 1931 a fight for the money. Smooth and nice with a lot of character, oak and raisins in the taste just as in the smell. I will start keeping an eye open for Rum Nation since I have read that some of their other bottlings are very good. I thought I had bought their cheapo volume offering and was completely surprised by the quality of the content. My friend had another disagreement here, while I was considering maybe giving it a 5/5 he settled for 4/5. It was a very interesting evening with some great rums. I will need to test each of them alone and against each other before I really make up my mind. They are all good, some great even. My friend chose to go back to the 1931 for the rest of the evening and I picked the Peruano. I was invited to a very nice beer and whisky tasting in Ödåkra. We were 8 persons and there was 6 whiskies and 6 beers to taste. Sadly enough I didn't manage to try all the beers but it was an interesting selection on offer with some very odd varieties. We started with the whiskies and had a break to try a beer before finishing and had a great BBQ after that. A Speyside aged in bourbon casks and finally some time in Sherry casks before being bottled. It won a gold medal at International Spirits Challenge 2003. The distillery is located in the same area as Glenfiddich and they have the same owner. Aged in sherry casks from Bodega Fernando de Castilla. A blended whisky with 50% single malt content. 12 year old from the edge of the Speyside district. Swedish malt whisky. This was a limited edition, bottle 38/46. Aged in swedish oak for six years. Cask strength. A pure aged grain whisky. The Balvenie was nice. It was amber, smelled a bit of smoke but no alcohol. The taste was also slightly smoky, sweet, fruity and had a long aftertaste. I rated it at 4/5. I brought the Bruichladdich to the party but it was not my cup of tea. It mostly smelled of alcohol, the colour was a bit cloudy due to no chill filtering being used which is positive. The taste was very powerful and smoky. A love it or hate it whisky, 2+/5. An amazingly ugly bottle by the way. The Usquaebach was golden brown and for some strange reason smelled like tequila and citrus. The taste was smoky not a lot of alcohol and a long aftertaste. It was surprisingly good considering the taste but ultimately it's not for me. Can drink it but will never buy it. 2+/5. I had high hopes for anCnoc that I had been curious about for many years but never bought. It was golden yellow didn't smell of alcohol or a lot else or that matter. It was easy to drink but didn't leave a lot of aftertaste. I rated it at 2+/5. The Mackmyra was extra fun to taste since it was such a limited edition. A bottle from a private cask. It was amber in colour and smelled a bit of fruits, no smoke at all. The taste had some alcoholic bite to it which is rather unsurprising considering the 54,6% of alcohol, there was still some sweetness to it with a long powerful aftertaste. No smoke at all. I rated it at 4-/5. Finally we tried the Macleod's, it was extra fun to try since there are so few grain whiskies available. Most of it is used to dilute malt whisky with to create blends. It was golden yellow and smelt sweet with some alcohol. The taste was sweet, tasted a bit of honey, reminding me a bit of a rum and had a long aftertaste where some alcohol was noticeable. I rated it at 4+/5 clearly showing that I am no real whisky aficionado! Whisky has always been something I can enjoy a single dram of but never been the drink of my choice. The general opinion was that Mackmyra Reserve was the clear favourite of the evening. Besides being such a unique bottle it was also very good. My personal favourite was the Macleod's since it was fun to try a grain whisky and that it in taste was closer to a rum which I favour over whisky. I never tried all the beers due to aiming at being able to go home on my own two feet. Jokes aside there was a lot of alcohol available and I have my limits, after a while the taste buds give up. I had the Innis & Gunn Rum Finish Oak Aged Beer, it's a nice one that I have bought on several occasions afterwards. I skipped the Guiness Extra Stout which is one of my favourites. The Hoegarden Witbier was good for a wheat beer but wheat beer is not really my thing, never had one I really appreciated. The Helsingborgs India Pale Ale was much more my style and I really liked it. The last beer I tried was Aecht Schlenkerla Rauchbier, a dark SMOKED beer. It had a very nice smell but the taste didn't live up to the promises made by the smell. A very interesting experience. We had a really fun and interesting evening with good food and good company! I attended a rum tasting event at Restaurant Bryggan in Höganäs 2012-4-19.The restaurant has a beautiful location down in the port of Höganäs with a view of the port and the open sea outside of it. While waiting for the tasting to start I had an Anchor Steam in the restaurant together with some of the other participants. We were 10-15 people attending the tasting in a back room of the restaurant. It started with an interesting review of the history and manufacturing of rum held by Lars Bergendahl. The rums we tried were Ron de Jeremy, Amrut Old Port, Plantation 20th Anniversary and Zacapa 23. I own the last two but really enjoyed trying the Ron de Jeremy and Old Port since I have been curious about them and considered buying at least the Ron de Jeremy. First we tried them neat with some bread and water between each tasting and later on we tried with a few drops of water and some chocolate. Named after famous actor Ron Jeremy is a new rum that was introduced during 2011. Taste:Sweet, a bit of alcohol in the aftertaste. Hints of aceton. This one was not for me. It was too sweet with something unpleasant hiding beneath the sweetness. Taste: Ah the coconut was in the taste not in the smell! I have correctly identified this rum in a blind test due to the characteristic coco nut. It's sweet and smooth, no alcohol. Taste: This used to be my favourite rum but I find it lacking a bit of character now. It very good, no doubt about it, it's just that it's a bit... boring. It lacks something to distinguish itself with. The winner for me was the Plantation rum and considering the small price difference between it and the others, here in Sweden at least, it's definitely the best buy. After the tasting we had a very good dinner in the restaurant and had the opportunity to try the Dillon too afterwards. I saw some interesting bottles in the bar that I was curious about. It was the El Dorado 15, Renegade Jamaica (Moneymaker), and Bristol Caroni 1996. The El Dorado 15 was a bit too dry and whisky like for me, I still prefer the 12 year old. The Renegade was interesting, the taste was not all that great but the aftertaste was very good. The Bristol Caroni was the last one I tried and it was also good. I want to try the three last ones on another occasion when I have not had so many other rums before them so I can rate them better. I had a really nice evening and would like to repeat it sometime. Me and my wife went on a wine tasting event held at a local vineyard "Kullahalvöns Vingård" friday evening. They started with a guided tour of the facilities and then there was the wine tasting event afterwards. We were served a light meal together with the wines. The owners, that were hosting the event, was very entertaining to listen to. One of their wines "Solaris 2009" won a competition for best wine made from the Solaris grape in a big competition in Germany recently. This is a small batch producer, they only have 4-5000 plants. Most of their production is sold out already. They produce white wine, rose' wine and sparkling wine. Their wines are kind of expensive costing around 30 US$ and are hard to find. We tried all of their varieties except the sparkling one, since it is not ready yet. "Kullahalvöns Vitt Vin, Solaris 2009"
"Kullahalvöns Vitt Vin, Madeleine Angevine 2009"
"Kullahalvöns Rose' Vin, Rondo 2009"
"Kullahalvöns Mousserande Vin, Regent 2009"
Half sweet white wine with a smell of green berries or rhubarb. This is the competition winner. A bit to sweet for me but just the way my wife likes it. This is a drier white wine and more to my taste. A very fresh taste that would make a perfect sipping wine for a summer evening. This is the rose' wine. It have a very nice red color reminding of strawberries not the ordinary pink color of other rose' wines. It is made from the Rondo grape that was first introduced as recently as 1963. Smells of red berries specially strawberries. The taste also have a hint of strawberry in it. All in all a very nice wine that I would probably never have bought unless I had tried it here. Both me and my wife liked it. December 3rd 2011 we had a small gathering to test rum. The rules were simple every participant bring one bottle each. Since we were six participants, for the cost of one bottle we could try six. A nice way of trying rum without having to buy them all yourself. We started with a light meal and some socialising and moved on to the testing afterwards.For practical reasons we did the testing one at a time with the option of going back and re-test afterwards. Bristol Nicaragua '98 was very whiskeylike in character and reminded me about a bourbon. Dillon Tres Vieux is the only cane juice rum I have tried except for Barbancourt 5 Star. It had more of a cognac character with long after taste. It was together with the Havana Club my favourites of the evening. Plantation Guyana '99 was interesting to try as I like the blended El Dorado 12. This was less sweet but still very nice. Powerful taste with hints of banana. Havana Club S. de M. is the first rum I have tried from them that works as a sipper. The Havana Club 7 yo have never really impressed me. Their white rums are delicious for mixing and beats the similarly priced Bacardi offerings with a very wide margin. The Seleccion de Maestros was mild in taste with a long after taste. A bit spicy or peppery and had still some alcoholic bite left in it. The Zacapa is a long time favourite but as the fifth rum of the evening it seemed a bit character less and anonymous with no flavours coming forward. I got surprised since I had put this one as a likely favourite but most people thought it was too bland. Diplomatico Reserva Exclusiva was sweet, very sweet. Very easy to drink but the sweetness was too much for me.This was the favourite among several of the evenings participants.Hints of processed almonds or marzipan in the flavour. Dillon won on getting high average ratings while the one that seemed most popular was the Diplomatico. 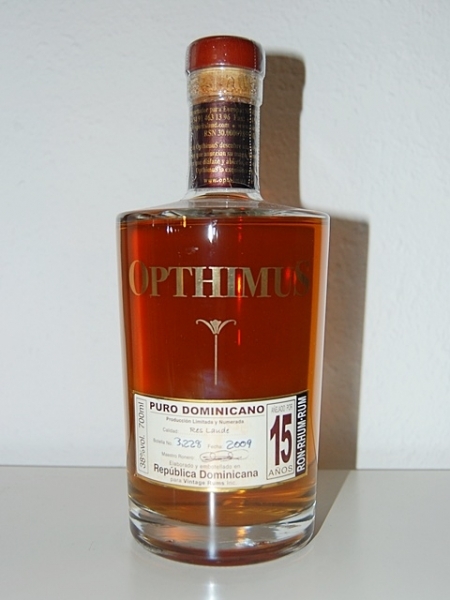 The Diplomatico got more diverse ratings due to it's sweetness. A more of a love it or hate it rum while the Dillon was not a real favourite with anybody but considered among the best by all. Afterwards we retried rums we were curious about or tried some that I had at home and had not been part of the test. It was a very nice evening and I hope we can repeat it a few times every year.